Mingji C, Onakpoya IJ, Perera R, Ward AM, Heneghan CJ. There is a controversy about the impact of altitude on blood pressure. So, will living at high altitude predispose you to high blood pressure? To address this question, we searched four different scientific databases to identify human studies investigating the relationship between high altitude and the prevalence of hypertension in Tibet – one of the highest altitude regions of the earth with average altitude of 4500 m above sea levels. We then used statistical techniques to explore the relationships between altitude and prevalence, and to also calculate the degree of changes in the prevalence of hypertension with changing altitudes. In total, we identified eight survey studies with a total of 16,913 Tibetan participants. 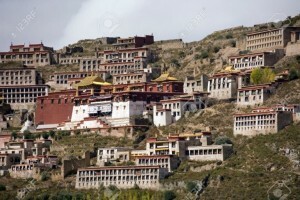 The altitude in the studies was between 3000 and 4300 m, which is below the average altitude in Tibet. The prevalence of hypertension was between 23% and 56%, and there was no evidence that gender was a factor. We observed a significant relationship between altitude and the prevalence of hypertension; indeed for every 100 m increase in altitude, there was a corresponding 2% increase in the prevalence of hypertension. In addition, we found that the socioeconomic status of participants had an influence on the rates of awareness and subsequent control and treatment of hypertension. So when next you encounter anyone who dwells at high altitude, or has travelled to a high-altitude region, ask them if they’ve recently had their blood pressure checked. Relationship between altitude and the prevalence of hypertension in Tibet: a systematic review. Introduction Hypertension is a leading cause of cardiovascular disease, which is the cause of one-third of global deaths and is a primary and rising contributor to the global disease burden. The objective of this systematic review was to determine the prevalence and awareness of hypertension among the inhabitants of Tibet and its association with altitude, using the data from published observational studies. Methods We conducted electronic searches in Medline, Embase, ISI Web of Science and Global Health. No gender or language restrictions were imposed. We assessed the methodological characteristics of included studies using the Strengthening the Reporting of Observational Studies in Epidemiology (STROBE) criteria. Two reviewers independently determined the eligibility of studies, assessed the methodology of included studies and extracted the data. We used meta-regression to estimate the degree of change in hypertension prevalence with increasing altitude. Results We identified 22 eligible articles of which eight cross-sectional studies with a total of 16 913 participants were included. The prevalence of hypertension ranged between 23% and 56%. A scatter plot of altitude against overall prevalence revealed a statistically significant correlation (r=0.68; p=0.04). Meta-regression analysis revealed a 2% increase in the prevalence of hypertension with every 100 m increase in altitude (p=0.06). The locations and socioeconomic status of subjects affected the awareness and subsequent treatment and control of hypertension. 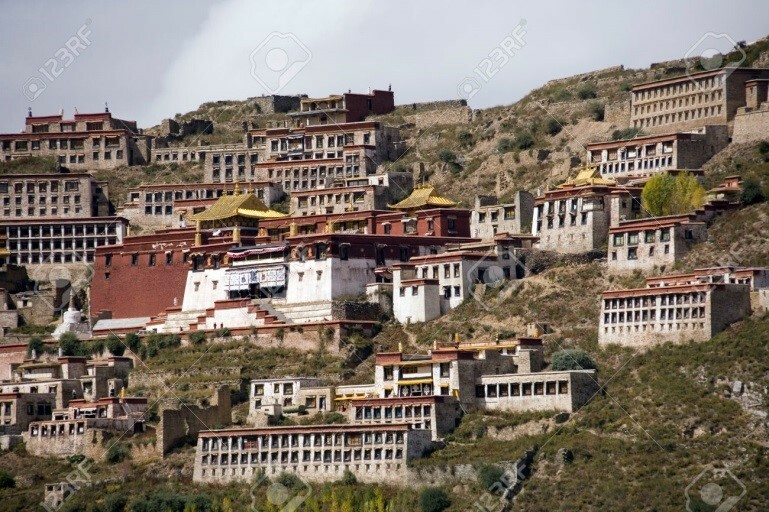 Conclusions The results from cross-sectional studies suggest that there is a significant correlation between altitude and the prevalence of hypertension among inhabitants of Tibet. The socioeconomic status of the inhabitants can influence awareness and management of hypertension. Very little research into hypertension has been conducted in other prefectures of Tibet where the altitude is much higher. Further research examining the impact of altitude on blood pressure is warranted. WHEN I TRAVEL FROM MY HOME AT 4500 FEET INTO THE MOUNTAINS AT 8000 TO 1100 FEET, IF IT CAN EFFECT MY BLOOD PRESSURE? IT IS NORMAL TO HAVE A HARDER TIME BREATHING AT HIGHER ALTITUDES I KNOW BUT THE LAST FEW YEARS I HAVE HAD A HARDER TIME AND AM GETTING HEADACHES. I AM ON MEDICATION FOR HIGH BLOOD PRESSURE WHICH CONTROLS IT GREAT AT HOME. I AM CONCERNED IF I AM IN DANGER WHEN I GO CAMPING. We live at 10,000 feet altitude in the summer, and can’t get our hypertension within safe levels during that time, even with medication. As a mechanical engineer, I would suspect that any blood pressure gauge that is calibrated to sea level will read higher at altitude, where the atmospheric pressure is lower. Gauge pressure is defined as vessel (body) pressure minus atmospheric pressure. So, even if the BP is constant, it will read higher on a gauge calibrated for sea level. That means the pressure in the blood is that much higher compared to atmospheric pressure. Even a person with very low BP should see a rise in BP. My blood pressure is out of control between Arizona and 6000 feet in highlands ranch in Colorado. How I can fix this to the controlablle level. I just posted as am having same troubles. lived in Alaska for 52 years before moving to NM in 2009. started having high blood pressure here/ I think I need to move!!! wow this is so interesting and what I needed to hear. I lived in Alaska for 52 years before moving to New Mexico in 2009. my blood pressure started getting high about 4 years ago. I agreed to start taking medication last month but then had a surprise hawaii trip given to me, so decided to wait til I got back because I wanted to see how it was at sea level again. It was great over ther.! I got back to NM 4 days ago and when I took my blood pressure yesterday morning was shocked to see it 196/72!! I quickly took the meds and it came down over a few hours. very scary. this morning it was 164/57. I think I need to be at sea level. I am in Farmington which is about 5299. but on the weekend we went camping in Colorado and the elevation there is 8000 feet. so as there Friday nite until saturday nite. the blood pressure check I did was sunday morning. I had a bit of a headache too. AND a nosebleed which i dont get that often, but air is very dry here and attributed it to that, but wondering about the High BP for causing that. I have just moved from the San Francisco bay area to Aurora, CO and have always had low blood pressure until now and it is a lot higher, causing bad headaches. Interesting information. Physician has me monitoring it for two weeks then possibly medications. Interesting and helpful study for the hypertension patient living in the Himalayan region. I live at 22 ft. elevation and going to N.M. in 2 weeks, 6500-8000 ft. elevation. After reading this, taking my bp monitor! Will let you know how I make out, if I survive. I think not only altitude could cause the risk but also distance. Because my father usually get high blood pressure when he drives too long. Who can explain for me? Thanks in advance. It’s not the distance, it’s the lack of movement in the legs and fluid collecting in lower leg. Same happens when Flying. Compression socks help, as without them I end up with cankles. When I have BP taken at MD office, they instructed to be sure to not cross legs, as that elevates BP. .
and I must say it has a positive effect on my well-being. Very interesting! I have intracranial hypertension — treated for a while while Diamox (also used to treat altitude sickness). After Diamox stopped working, I got a VP shunt. My blood pressure climbed to crisis levels – most notably systolic pressure– while my diastolic pressure and pulse remain low. Volatile barometric pressure (falling barometer!) seems to increase BP. Medications don’t help much. I am wondering whether the setting on the shunt (inflexible — though adjustable) creates resistance to changes in BP. Any research on this?